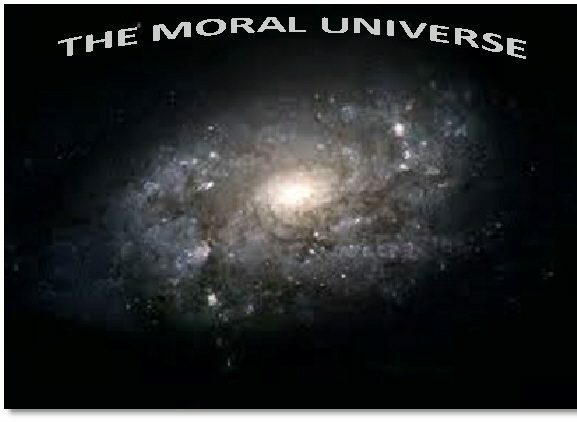 The Moral Universe – Woza Martin! Whitman’s poem expressed his anguish over the horrors he had seen while serving as a nurse in the Civil War. This is an anti-war poem, depicting the war like a gale-force wind blowing through everyone’s houses, leaving no family North or South unscathed. Since June 19, after the first shock of the massacre of the Emanuel Nine, I began to feel in the air a new purpose, a new spirit of cooperation, a new realization among people of all colors that things have gone too far and we need a rebirth of the energy and the optimism and the hope of the civil rights movement. President Obama, in his brilliant eulogy for the Rev. Sen. Clementa Pinckney, said that while the shooter thought he was starting a new white supremacy revolution, “God had other plans.” Yes, I thought to myself, this is how God redeems and sanctifies tragedies: the outpouring of love to Charleston and to the victims’ families, the worldwide services of remembrance and repentance, a new discussion on Confederate flags and memorials, the Supreme Court decision regarding the Fair Housing Act, Health Care, and gay marriage. So all this has also put in my mind the early 1980s play, “Woza Albert.”* Written by Percy Mtwa, Mbongeni Ngema, and Barney Simon, it was first produced at the acclaimed Market Theater in Johannesburg, known for pushing the envelope against the tyranny of apartheid. Mtwa and Ngema were the original stars of the two-man show. Aside from poking fun at the system of apartheid and the South African police, the play’s main premise was what would happen if Jesus came back to earth in South Africa. They surmise that He would be treated as revolutionary and imprisoned on Robben Island. BUT, He would be able to escape and walk across the water to the mainland. “Woza” means “Arise,” and “Albert” refers to Albert Luthuli, the martyred president of the African National Congress. In the crisis that ensues with Jesus’s appearance, all the martyrs of the resistance arise from their graves. Preceding the end of apartheid by 10 years, “Woza Albert” added to the hope and determination of the ANC and all freedom fighters in that benighted country. The hard-line Botha was president, but it wouldn’t be long before even the official government would revolt and elect F.W. deKlerck, who saw the writing on the wall. What many predicted would be a bloodbath if the majority population took over the government was in fact about as peaceful a transition as could be imagined after what people had gone through, thanks to the alliance of Archbishop Desmond Tutu and Nelson Mandela. Now, there cannot be anyone in this country who does know what happened at Emanuel African-Methodist-Episcopal Church in Charleston, SC, on June 17. There cannot be anyone who has not seen the images of the heroic Bree Newsome scaling the flagpole at the South Carolina Statehouse to take down the Confederate flag. There cannot be anyone who does not know that the backlash started immediately with the burning of black churches. There cannot be anyone who does not know that the KKK is out in full force to defend the hated flag. There cannot be anyone who is on the sidelines. So I say, “Beat! beat! drums!—Blow! bugles! blow! Through the windows—through the doors. . .
Keep the momentum going. Do not back down now. Woza Martin! Woza Medgar! Woza Malcolm! Arise all the martyred heroes whose names are legion and fill this country with the inspiration of your sacrifices and lead us to the final victory of full equality, full access, full rights, full trust and understanding and common ground among us all. Only then can Independence Day truly be celebrated. *The play was filmed and is available on DVD. Google “Woza Albert film” to find.